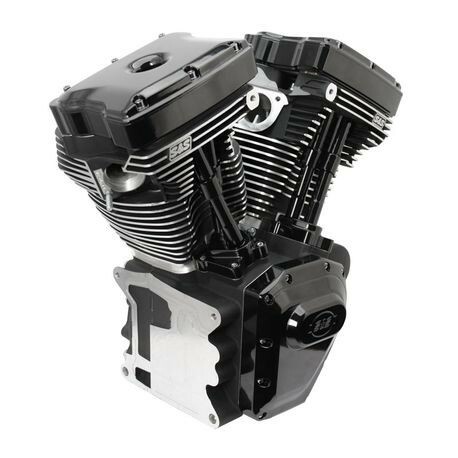 The S&S T143 Long Block engine is the largest S&S engine that will fit in a stock Harley- Davidson® chassis. At double the HP of a stock motor the power of the T143 requires technical expertise for the installation and tuning along with an experienced rider. This is an ultra performance/race engine. 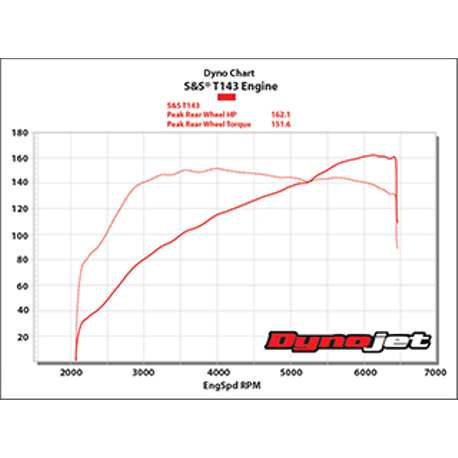 Longevity, engine noise, vibration and throttle sensitivity have all been compromised to reach this level of performance while fitting in a stock chassis and as such is not suitable for every situation. It is the purchaser's responsibility to consider the suitability for their application. Engine noise and damage from abuse is not covered under warranty. S&S 1.725:1 rocker arms for .674" total lift. NOT LEGAL FOR SALE OR USE IN CALIFORNIA ON ANY POLLUTION CONTROLLED MOTOR VEHICLE.